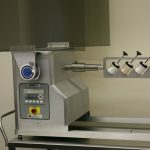 New GlobePharma portable mill, Model # GP-M-5, is the newest addition to GlobePharma’s equipment line. This unit can be used for de-lumping, pulverizing and controlled size reduction of various materials. 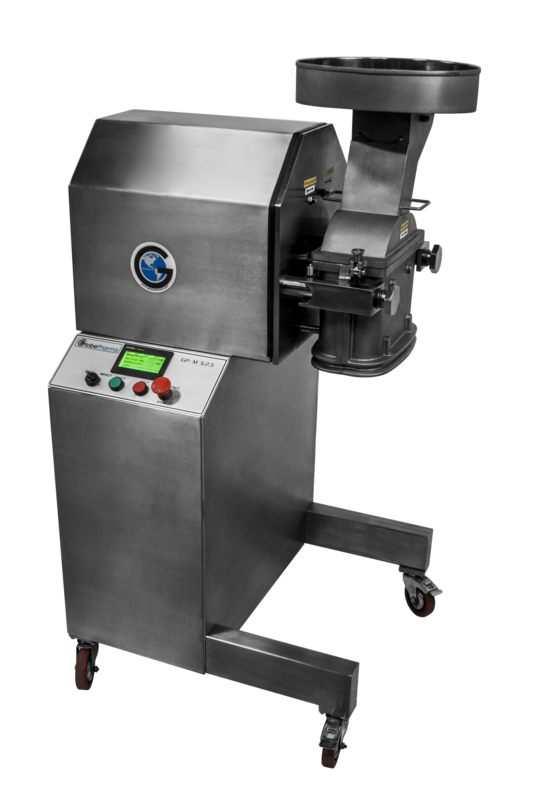 Constructed of 316SS contact parts and a 304SS enclosure, this portable mill allows for both hammermill (impact) and chopping (knife) actions with a 5” screen. Operators can change between the two styles by simply turning a knob to indicate which style milling is required. Both options are on the same rotor and the reversing motor allows for the ease of use. The speed may be varied by using the HMI display. On the hopper attachment is a special scraper blade attachment on the lid, which allows for material to be safely pushed into the feed chute. Another unique feature is the upcoming optional interchangeable chamber allowing for milling with a 2.5” widescreen. The chamber, rotor, and feeder can be interchanged by simply unscrewing the mounting bolts and sliding the new chamber and blades into place.